JAZZed – What’s On Your Playlist? 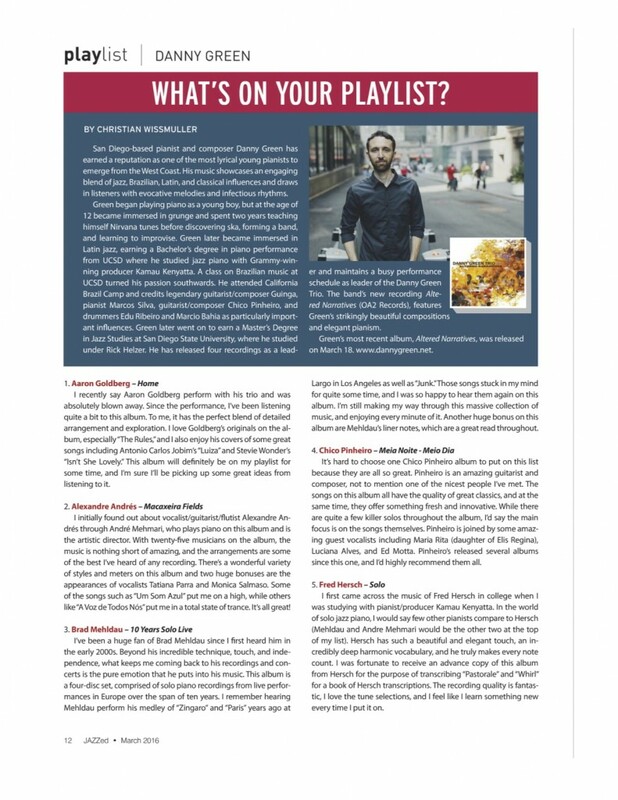 A few weeks ago, I was asked to write a column called “What’s On Your Playlist”for JAZZed Magazine. I spent the greater part of a Sunday listening to some of my favorite albums and writing a mini-review on each album. 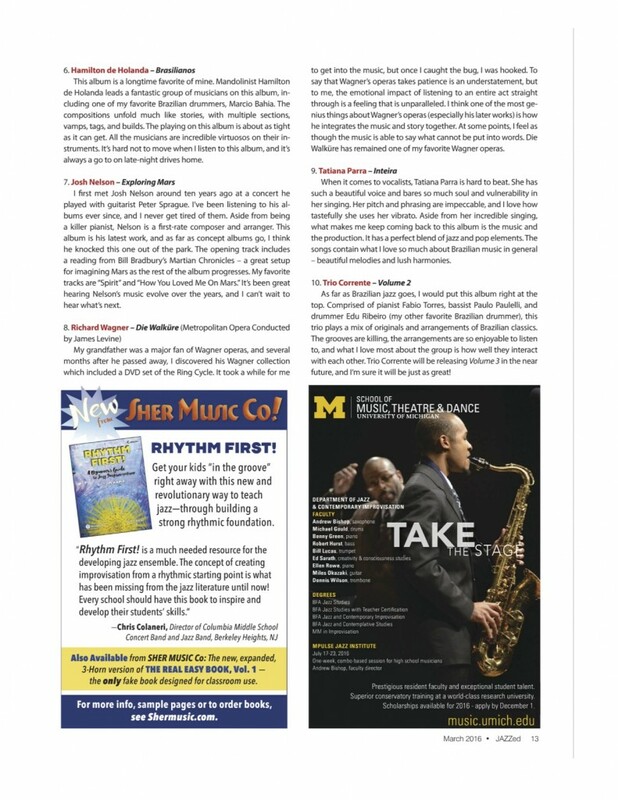 The article appeared in the March edition of JAZZed. Click the picture below to view them full size. I highly encourage you to check out all these great artists!